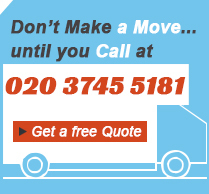 RemovalsMates provides relocation and removals services in Camberwell, SE5. Our movers will help you with everything – packing, loading and transporting of your belongings. When you first start thinking about moving to a new house you thought that you are going to need an army and a couple of heavy trucks, but what you actually need is one of our teams. Our teams work with precision and dedication and there is nothing impossible for them because we are the house removals you need. We will make sure that everything will be moved fast and smoothly, just come to one of our offices located in Camberwell, SE5 and we will provide for you the best services on the territory of London and its surrounding territories. You have found a new home and you want to move as fast as possible and enjoy the new place. Let us save you the time and the headache of trying to remove everything with your small compact city car. You can call one of our offices located in Camberwell, SE5, and we will move you to and from any place in London in exchange for not a lot of money. Just a little bit of clarification, the fact that we are a budget company does not mean that we cannon guarantee you the quality you deserve. We love helping our customers relocate their offices quickly and efficiently. Our company offers office removals services in Camberwell, SE5 and the rest Greater London areas and we guarantee that our professionals won’t waste you time. They will arrive equipped, uniformed and ready to load your equipment into the spacious truck and transport it to the destination you want. We guarantee that none of your expensive computer configuration or any other type of office equipment will be damaged. Everything will be in the same condition it was before the moving. Call our operators now and book your affordable office relocation service. The easiest way to have all of the heavy items in your house moved to another place is to use professional removals services. Our company has been providing its customers in Camberwell, SE5 with the most effective and affordable removals services for several years and doing its best to please everyone. We can guarantee safe, successful and professional work that can meet the highest expectations. Our team of experienced house moving specialists will take care of the whole process and will move everything you want to your new house. We work every day, so call us any time to make an appointment or to inquire more information.